LinkedIn has been the quiet achiever of social networks. It doesn’t get the attention that Facebook, Twitter, or Instagram gets but it has been growing steadily whilst Twitter and others have stagnated. According to Social Media News, LinkedIn now ranks 6th in Australia with about 8 million registered users and over 4 million monthly active users as of December 2017. This surpasses Twitter, SnapChat and Tumblr but sits behind the big ones such as Facebook, YouTube and Instagram. LinkedIn has made it’s advertising more accessible to smaller advertisers by rolling out its self-service advertising platform, similar to that of Facebook and Google. We take a look at some of the most common questions asked about LinkedIn advertising. Is LinkedIn Advertising for Me? LinkedIn users are mainly business professionals. This group of people are more likely to be in decision-making roles in the businesses that they work in. This means it’s a network full of people who hold the purse strings for businesses. So, if your customers are businesses, then LinkedIn provides an unique opportunity for you to reach a large audience of active, influential professionals that are likely to be the decision-makers in purchasing decisions. What are the LinkedIn advertising costs? Like most of the self-service online advertising platforms. LinkedIn allows you to set your own budget with some small minimums. The minimum cost per click is $2.00 and the minimum daily budget is $10.00. That means you’re looking at a minimum of $300 per month on ad costs.Although those are the stated minimums, realistically, you’ll need to pay more if you want your ads to be seen. LinkedIn will make a suggestion as to the bid price range for your target audience. The more advertisers targeting the same audience as you, the more the bid price will be. LinkedIn uses a second-price auction format, which means if you win the bid, you only pay the minimum needed to beat the second-highest bidder. So don’t be afraid to set a high bid price and overpaying if you want to ensure your ads are shown. Besides ad costs, there are costs associated with creative, design, monitoring, optimisation and management. Even if you do this yourself, your time has a cost to it. To help you save some money, LinkedIn offers $50 in free ad credits to first-time advertisers. Just go to LinkedIn and you’ll often see the ad in the right column. It’s not much but can help you reduce advertising costs. What types of ads are available? LinkedIn provides three types of ad formats. Text Ads – This is the simplest format and can be set-up most quickly and easily. They are good for getting started and dipping your toes in.Used mainly for the purposes of building brand awareness or lead generation.See screenshot below to see where text ads are displayed. They are also displayed at the top, just underneath the navigation bar. Sponsored Content (display ads) – This is regarded as “native” advertising whereby a piece of content is placed within the feeds of professionals you want to reach. It’s used to share posts to your Company page with a targeted audience.You can use rich media to stand out in the feed and integrate with LinkedIn’s lead generation forms so that users don’t need to leave LinkedIn to submit their details for whatever call-to-action you want.Sponsored content ads involves more work as you have to create content to promote. Sponsored InMail – unique to LinkedIn, this format allows you to send a personalised message to a specific person through LinkedIn Messenger.The personalised message tends to get better conversions and other features such as messages only being delivered when members are active with a strict delivery frequency maximum which ensures your messages are noticed.Sponsored InMail is seen as the sniper rifle of ad formats and may have the best results from a conversion perspective but they may also be the most expensive of the ad formats. Dynamic Ads – these types of ads are not available through the self-service platform and is only available through LinkedIn’s account-managed advertising. Reserved for big spenders whereby you get a dedicated LinkedIn team to create exclusively placed ads for premium audiences. How do I get started with LinkedIn Advertising? Getting started on the LinkedIn advertising platform is simple. 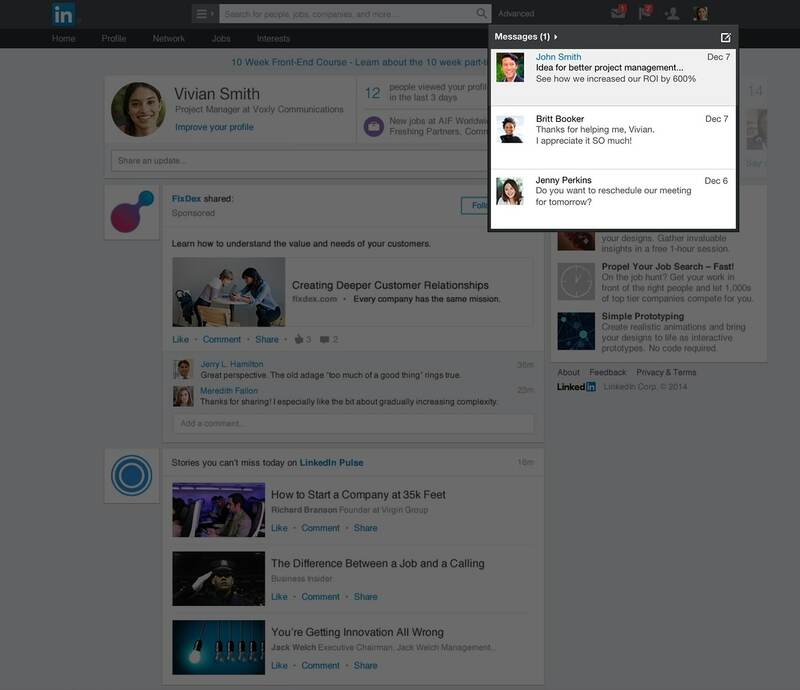 Just go to the LinkedIn Marketing Solutions site and click on the Create Ad button in the top right. This will take you to the LinkedIn Campaign Manager. If you have an account and a Company page, then link it to Campaign Manager and you’re all set-up. Click the Create Campaign button in the top right and LinkedIn will walk you through the process. What best practices should I use when advertising in LinkedIn? How do you avoid spending unnecessary money or wasting time on mistakes with LinkedIn advertising? Here are some best practices that will help. Targeting – Its great to have so many criteria to filter on to refine your targeting. However, being too specific is a mistake that many beginners make. If you’re too precise, the audience will be too small to generate meaningful ROI. For brand awareness campaigns, it is better to be broader whilst conversion-based campaigns should be more specific in its targeting. When targeting, don’t group all your criteria into one campaign. Separate them on criteria that makes sense and make sure your ad is relevant to each specific group. Bidding – When starting, newbies tend to set low daily budgets to get a taste for the platform. The problem with this is that you get too few clicks to give you enough data to optimise. Manage your budget on a longer term perspective and front load your daily spend. This will allow you to generate more activity, collect data, and learn faster to beat the competition. Optimising – You should run multiple variations of an ad at the same time to find out which version works best. Track performance closely by making the URLs in your ads unique so that you can attribute which ones are resulting in conversions. This will allow you to shift your ad spend from low performers to high performers and maximise your ROI. LinkedIn is definitely an advertising option that should be explored, especially for B2B type businesses. It provides an easy way to reach those professionals that have the authority to make spending decisions in their businesses. In saying that, the higher level you target, the higher bid prices will be. Like any other platform, have a compelling offer that is relevant to your audience and it will increase the likelihood that you will be successful in reaching customers. If you don’t have the time or the inclination to try it out for yourself, don’t hesitate to get in touch with us to get you onto LinkedIn. Give us a call at +61 2 8211 0668 or email us at [email protected].